After 20 years of expertise and experience with Cpap Supplies, Sleep Apnea Machines, Sleep Apnea Mask, Portable Cpap and variety of Cpap accessories, we feel we can offer you the best ! Our aim at P-MediCyp Ltd Cyprus, is to offer you compact and lightweight sleep therapy devices that are FAA approved for all major airlines, a truly portable CPAP therapy for active lifestyle. We at P-MediCyp Ltd will provide you the sleep apnea therapy you need, in Cyprus. Our aim is to offer you the most innovative and portable Automatic CPAP in the world ! With P-MediCyp Ltd Cpap supplies and Cpap devices you will be able to go anywhere you want- with our innovative multi night batteries, solar battery charger and many more. Read more here and then call us or email us so we could offer you the best solution for your changing sleep apnea therapy needs. We at P-MediCyp Ltd are proud to offer the revolutionary portable Cpap, the Automatic Transcend Cpap, for the first time in Cyprus. Transcend Cpap is one of the smallest Auto portavle cpap's on the market, weighing in at just 12 ounces. Testing the Transcend Auto Cpap against other market leaders showed that our Transcend cpap is comparable to devices that are 3-4 times larger !! The tests has also showed that the durability of such a small device is outstanding. The failure rate is very very low and quite impressive for a device that is being banged around by patients who travel. Our Transcend Cpap in Cyprus enjoys a 3 year manufacture warranty. We at P-MediCyp Ltd have a goal to let sleep apnea machine users in Cyprus know that there are other options available in much smaller and convenient sizes, yet still offering the same level of performance. 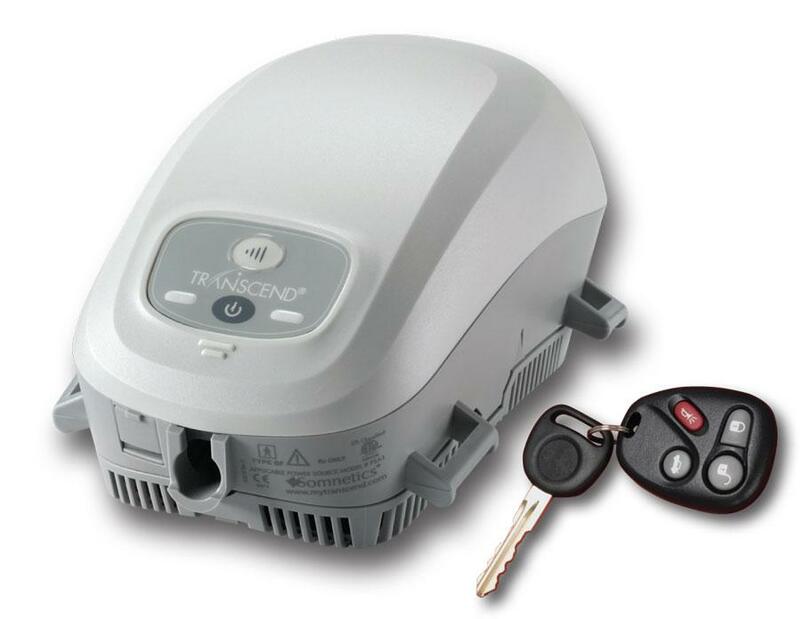 We currently have the longest warranty in the market being 3 years for the Transcend Cpap. The Transcend Cpap is the best option today as a travel Cpap for a travel friendly cpap users and that's a fact ! We at P-MediCyp Ltd offer in Cyprus and Europe, an innovative solutions, such as the Transcend Cpap, that fit perfectly your active lifestyle. No doubt that the Transcend Cpap is the best portable cpap on the market today, being so small and great for travel. The Transcend Cpap is so small & light, easy to pack and carry and weighs less than a pound ! a true portable cpap that offer real flexibility and freedom, exactly what cpap users want and deserve. The Transcend cpap has a mobile power adaptor for cars, trucks, boats or RV's, has a universal AC power that converts power everywhere in the world. 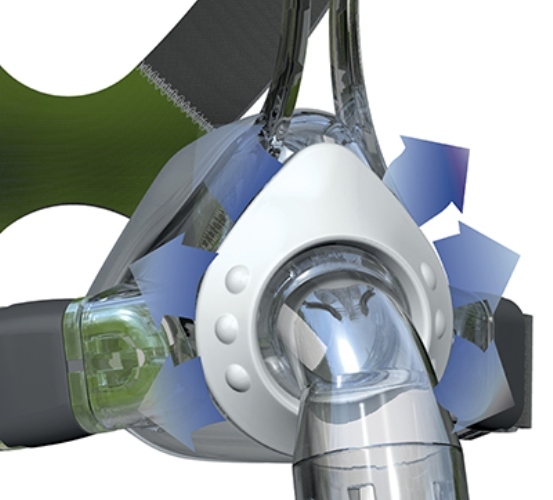 The Transcend cpap has an FAA compliant for use onboard aircraft and an automatic pressure compensation to 8000 feet. 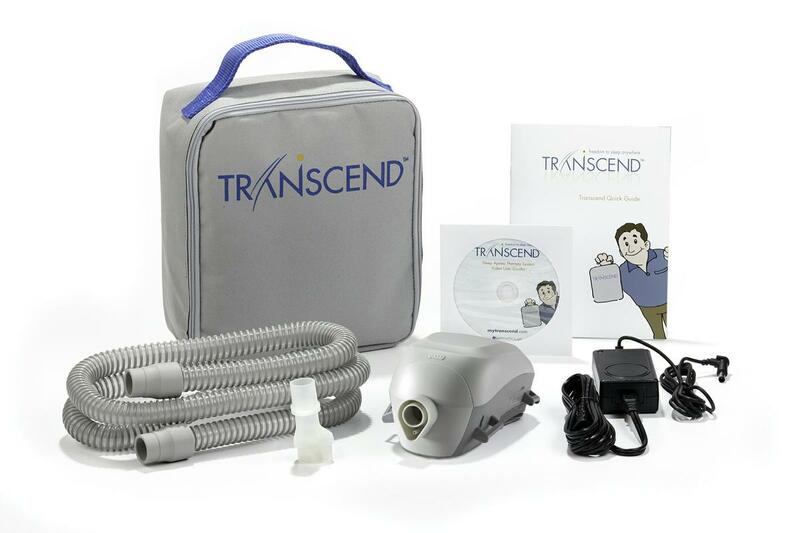 The Transcend Auto that we offer here is a premium auto-adjusting device with expiratory relief. The Auto Transcend has also a TranSync wireless compliance reporting capability. We at P-MediCyp Ltd can offer the Transcend Cpap (optional ) with innovative humidification options, if needed, and with variety of accessories such as Transcend portable batteries. 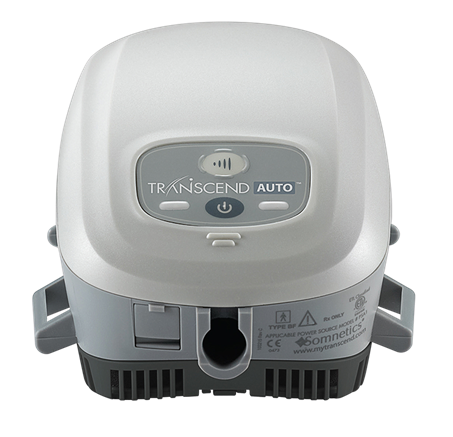 Transcend Auto Cpap offers two portable battery systems , the P4 overnight and P8 Multi-night batteries. As their names imply, the P4 battery is designed to provide a mimimum of one nigth sleep, while the P8 will provide a minimum of two nights. The P4 and P8 batteries are the first truly portable battery systems to be offered to patients wanting to maintain CPAP therapy compliance while away from home, and they fulfill a desire for patients on Cpap therapy to maintain their active lifestyle. Traveling with CPAP can be hassle, but not with Transcend. Weighing less than a pound, and at about the size of a soda can, Transcend is the perfect portable Cpap for use at home or during travel and features accessory options to give you therapy that fits your lifestyle. At home or on-the-go, Transcend provides the power for your sleep apnea therapy. Sleep apnea therapy in Cyprus is no longer limited to the nightstand with Transcend's portable power options. Hit the open road, hop on the plane, sail away, or sleep under the starts. It doesn't matter where you go. Transcend power options ensure you'll always get the sleep you need. You have the power to tailor your sleep apnea therapy to your lifestyle. Transcend is extremely quiet for it's small size. Engineered with a vibartion-free blower, Transcend only makes 26.6 dBA of sound. The dimensions of Transcend Cpap are: 15.5 cm X 8.9 cm X 7.1 cm , the weight is only 426 g.
Transcend Cpap is weighing less than one pound, Transcend Auto Cpap device is so easy to pack and carry for your next night away from home. One of it's biggest differentiators from any other CPAP on the market, Transcend has two battery options, a solar battery charger and a DC mobile power adaptor, giving unmatched power options that support therapy on the go. (optional accessories). From your desktop , up to the cloud, TranSync™ makes it easy for CPAP users to track and share their therapy data. 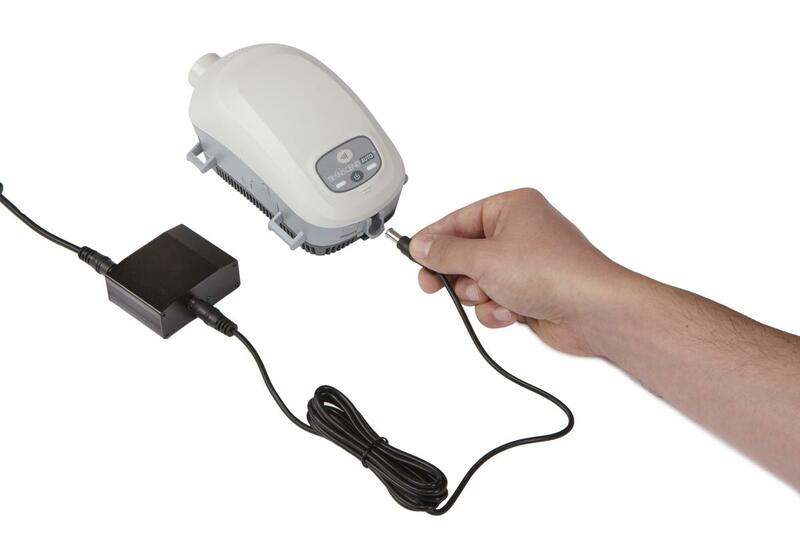 Power supply for Transcend Cpap: 100-240VAC , 50-60 Hz, 19VDC , 2.6AMP, Operating range: 5°c -35°c, 10% -80% relative humidity, non-condensing. Automatic altitude adjustment = 2438 m, 3 years warranty. Looking for CPAP Mask in Cyprus? Having a Cpap device with a Cpap Mask that is getting old and need to replace it with a new one at an affordable price? We at P-MediCyp Ltd will guarantee you the best price on the island !! Having a CPAP Mask that is intolerable to use? need our advise, expertise and maybe an alternative offer? Fortunately for you, at P-MediCyp Ltd we offer, for the first time in Cyprus- CPAP masks in variety of styles, shapes and sizes- dont worry- with our help you will find the perfect mask for a regular nighttime use. Looking for a Nasal Cpap Mask that combines comfort and adaptability? You don't want to miss the JoyceOne Nasal Cpap Mask, made in Germany. We at P-MediCyp Ltd offer you the outstanding JoyceOne cpap mask- the latest release by Weinmann Medical. What's so unique with that Cpap mask you ask? First, it is a one size fits all Cpap Mask- so you can be sure it will be suitable for you. Well- the JoyceOne enjoys a SilkTec silicone coating on both mask cushions and forehead. The SilkTec coating aids in sealing around the nasal area. So it will contribute for a perfect fit. You can also alter the Cpap mask straps for a better flexibility and comfort. So, drop us an email, we are sure we can assist you too !! Cpap Masks in Cyprus is us ! !